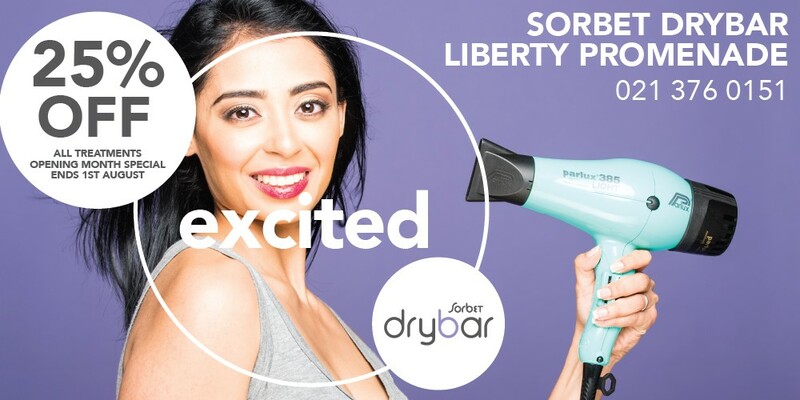 Sorbet Drybar Liberty Promenade is now Open! Sorbet – The home of good feelings has opened a new store! Ts and Cs Apply- This special excludes any current specials, discount vouchers and facial combos, promotion ends 1st August 2016!